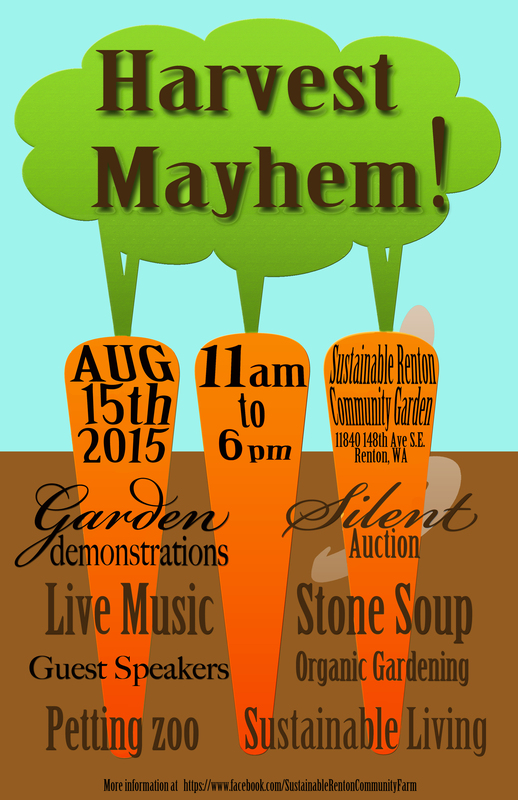 Well, it’s time again for Sustainable Renton’s annual fundraising event. In years past, this event has been small and quaint with around 20 people showing up to support our efforts. While we appreciate everything everyone has done to support our little organization we are hoping for a bigger turn-out this year. We are planning to have live music, a petting zoo, garden demonstrations, guest speakers, a barter fair, tractor rides, a stone soup type potluck lunch, a silent auction and raffle items, but most importantly we will have community. So come and meet new friends, say hello to some old ones and be a part of an amazing day.